During World War II the Drottningholm and the Gripsholm were used as repatriation ships and made 33 voyages to exchange prisoners of war, diplomats, women and children, between the warring nations. Many descendants of the passengers write in the guestbook or send emails, and are extremely grateful to the crew for their courage - sailing across the seas in wartime, on fully illuminated ships amidst mines and submarines. When working with this webpage, and sharing the touching stories of the passengers, I often feel as if I get to know them personally. exchange and repatriation voyages? Unfortunately, we don't have any passenger lists, try ancestry.com. When resuming the regular Atlantic crossings in 1946, SAL published this advertisement. Exchange Ship by Max Hill is sometimes available at amazon.com. You can find information about passengers and crew on the Gripsholm's two long repatriation voyages on Ancestry.com by entering Gripsholm and the year 1942 or 1943 in the search fields for passenger lists and immigration documents. This is a work in progress. Additions, and revisions, will be made to the text. Unfortunately, various souces give different dates for the same events. The U.S. State Department had learned that the Drottningholm was available for charter, and accepted on March 4, 1942, the offer that had been conveyed via the Swedish and Swiss Governments. The purpose of the charter was to exchange official personnel between the Axis powers and the American Republics. The Drottningholm made two trips from New York to Lisbon and back. 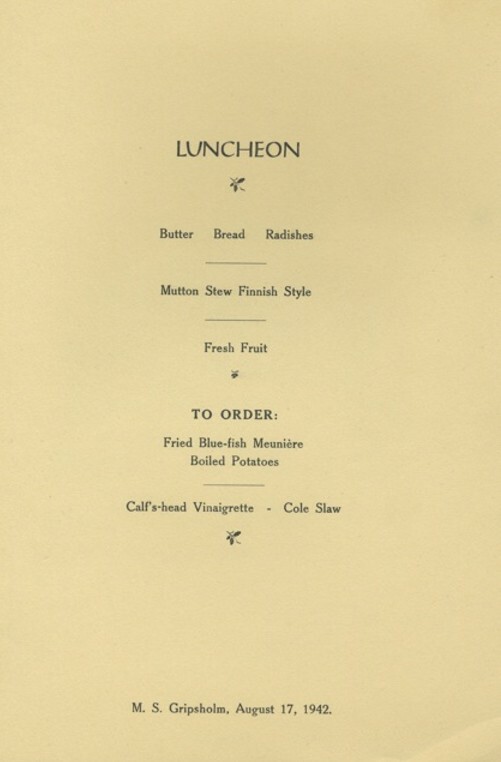 The first voyage from New York commenced on May 7, bound for Lisbon. The second sailing departed from New York on June 3. The Drottningholm's return voyage ended in NYC on June 30, 1942. However, she would come to serve much longer as an exchange ship, chartered by the British Government. 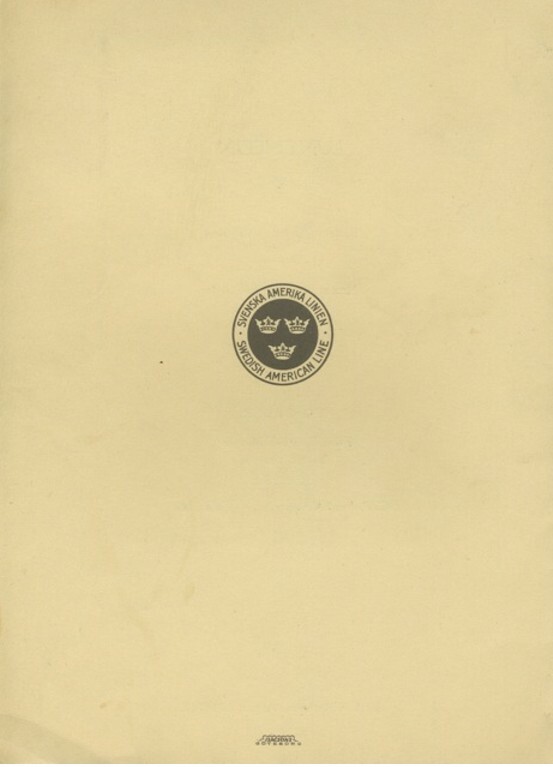 Mr Donald Prager has contributed the following story about his voyage from Lisbon to Liverpool in August 1944, on board the Drottningholm, after four years of internment, of which two years in Vittel. (Translation follows). ........Le Drottningholm est le nom de notre bateau. Que c’est superbe un bateau ! Celui-ci est suédois. De grands drapeaux bleus à croix jaune permettent de l’identifier de loin : pas de risque ainsi de se faire torpiller ! On embarque, l’excitation est extrême : pour beaucoup ce sera le baptême de la mer. Où vont-ils loger tout ce monde ? Papa et maman auront une cabine, Irène et Doris de même. Et nous alors ? Chouette, on nous installe, Gaïl et moi, avec les matelots, tout à l’avant du bateau, là où nous serons le plus ballottés ! Nous restons à quai jusqu’au 5 août. On n’est pas pressé , la découverte de notre nouveau domaine est passionnante. Lorsque nous prendrons la mer, je connaîtrai le bateau dans ses moindres recoins. Les matelots sont sympas et celui qui s’appelle Gustaf semble m’avoir pris en amitié. Avec lui, je découvrirai la salle des machines. Moi qui n’avais jamais vu de moteur, même celui d’une auto, vous pensez que cela m’a impressionné. Les repas sont pris dans une grande salle à manger et servis par des stewards en veste blanche. Quel changement ! il y a peu de temps encore, nous défilions devant les Allemands pour recevoir du rata. Chaque jour, à onze heures, la sirène fait entendre le signal d’évacuation. Heureusement, il ne s’agit que d’un exercice. Chacun s’est vu désigner l’emplacement de son canot de sauvetage et l’on doit s’y présenter, revêtu du gilet de sauvetage. Dés le premier jour, le capitaine nous avait avertis de l’importance de cet exercice : les risques sont minimes mais n’oubliez pas que la guerre n’est pas terminée, nous dit-il. Nous prenons la mer le 5 août. En cette période troublée, quoi de plus logique que de longer les côtes ? Le nord de l’Espagne est contourné et nous naviguons cap à l’est vers le Golfe de Gascogne que nous atteignons en fin de nuit. Pour profiter de la fraîcheur nocturne, nous étions quelques uns à dormir sur le pont avant. Très tôt le matin, ce n’est pas la cloche du petit déjeuner qui nous réveille, mais les râles de plusieurs passagers en train de vomir leurs tripes par-dessus bord ! Restons allongés et apprécions le bercement qui, au début, d’agréable devient, au fil des minutes, de plus en plus déplaisant. Il faut se lever, bien s’accrocher pour rester debout. Le nombre de « malades » grossit le long du bord et moi, toujours bon pied bon œil ! Aurais-je le pied marin ? Il y a de quoi être fier. Cette prétention n’aura duré que deux minutes car, bien vite, je me retrouve contemplant mon dernier repas absorbé par les profondeurs océanes ! Papa vient à notre secours, nous oblige à boire de l’eau et à manger des biscuits secs : ça n’empêche pas de vomir, mais au moins, il y a quelque chose à remettre ! Vous ne me croirez pas, même des stewards ont été malades et il s’est dit que papa était le seul passager à avoir occupé la salle à manger ce jour là. Depuis cette époque, je sais pourquoi les rêves de certains navigateurs se brisent parfois dans le Golfe de Gascogne. Quelques heures encore et nous retrouvons les plaisirs d’une navigation sans histoire. Nous devons débarquer à Liverpool, à l’ouest de l’Angleterre. Probablement pour des raisons de sécurité, nous ne prenons pas la route la plus directe, mais contournons l’Irlande par l’ouest. Liverpool apparaît dans la brume matinale. De loin, nous entendons les sirènes des bateaux qui nous accueillent. Une foule énorme et joyeuse se bouscule sur le quai. Le port est orné d’oriflammes et de drapeaux. L’émotion est grande parmi les passagers. Puis enfin, lorsque nous accostons , une musique militaire nous accueille en jouant le « God Save the King » et des airs populaires. 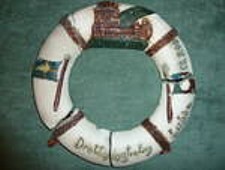 A miniature buoy, a gift from an engineer, called Gustaf, precious memories of Drottningholm. My older brother and I in 1942. I was 12 when, after four years of internment because of my British roots, I was repatriated to England on the Drottningholm. It is only today that I discovered this site. My feelinga are overwhelming! This "cruise" to freedom remains etched in my memory forever. The story below relates to this journey aboard the Drottningholm and is taken from my memories of war written in 2002. ........ The Drottningholm is the name of our boat. It is a beautiful boat! It is Swedish. Large yellow cross on blue flags identifies her from afar and there is no risk of being torpedoed! Aboard the excitement is extreme: for many this will be the baptism of the sea. Where will they house all the people? Mom and Dad will have a cabin, Irene and Doris as well. What about us? Gail and I, are installed with the sailors, at the very front of the boat, where we tossed the most! We remain docked until August 5. There is no hurry, to discover our new home is exciting. When we sail, I know the boat into every corner. The sailors are nice and I seem to have a friend called Gustaf. With him, I find the engine room. I had never seen the engine, even that of a car, you should believe this impressed me. 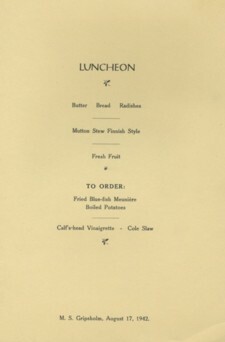 Meals are taken in a large dining room and served by attendants in white jackets. 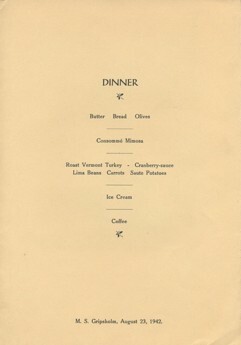 What a change there has been in such a short time, we marched ahead of the Germans to receive rata (poor quality stew). Every day at eleven o'clock the siren sounded the life boat alarm. Fortunately, this is only an exercise. Everyone had to find the location of the lifeboat and one has to check in, wearing a life jacket. From the first day, the captain had warned us of the importance of this exercise: "the risks are minimal but remember that the war is not over", he said. We depart on Wed, August 5. In these troubled times, what more logical than along the coast? Northern Spain is bypassed and we sail heading east towards the Bay of Biscay, which we reach at the end of the night. To enjoy the cool night, some were sleeping on the foredeck. Very early in the morning, it is not the breakfast bell that wakes us up, but the groans of several passengers throwing up their guts overboard! Stay put and appreciate the lullaby that, at first, is sweet, in minutes, more and more unpleasant. Get up, stand up to endure. The number of "sick" grows along the railing and I, still going strong! Do I have sea legs? That is something to be proud of. That thought lasted only two minutes, because soon I find myself contemplating my last meal absorbed by the ocean depths! Papa comes to the rescue, forcing us to drink water and eat biscuits: it does not stop the vomit, but at least there is something to give! You will not believe me, even the stewards were ill and one of them said that Dad was the only passenger to occupy the dining room that day. Since that time, I know why the dreams of some sailors may burst in the Bay of Biscay. Again, we find the plesure of a peaceful voyage. A few hours more and we have to land at Liverpool in the west of England. Probably for security reasons, we do not take the most direct route, but skirt around the west of Ireland. Liverpool is in the morning mist. From afar we hear the sirens of the boats that welcome. A huge crowd and happy jostling on the quay. The harbor is decorated with banners and flags. Emotions run high among the passengers. Then finally, when we drop anchor, a military band welcomed us by playing "God Save the King" and popular tunes. Many thanks to Donald Prager for these memories! 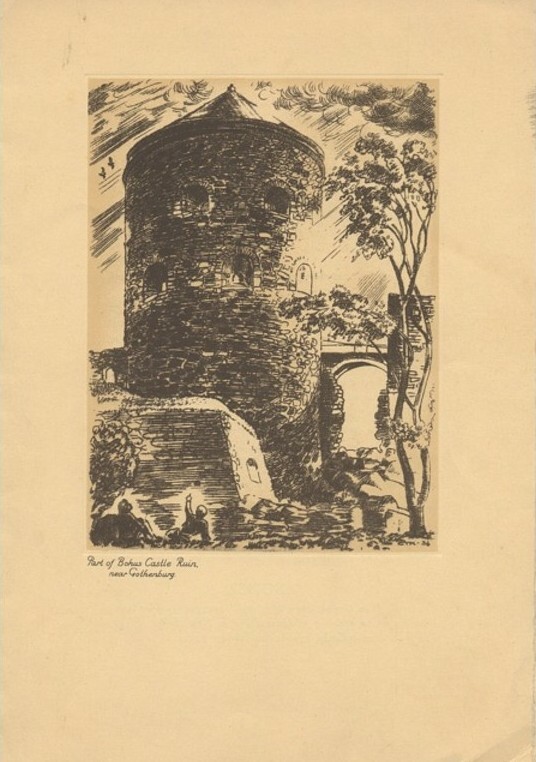 Read the story of a RAMC medical orderly returning home from a POW camp via Gothenburg. See a "March of Time" film cliip, showing Drottningholm arriving in US on June 1, 1942 with diplomatic officers leaving Axis nations. The link connects to the Steven Spielberg Film and Video Archive at US Holocaust Memorial Museum. Many thanks to Susan Pentlin for this tip. Please note that you can view the clip in full screen mode by a right-button click on the film clip, and choosing zoom. 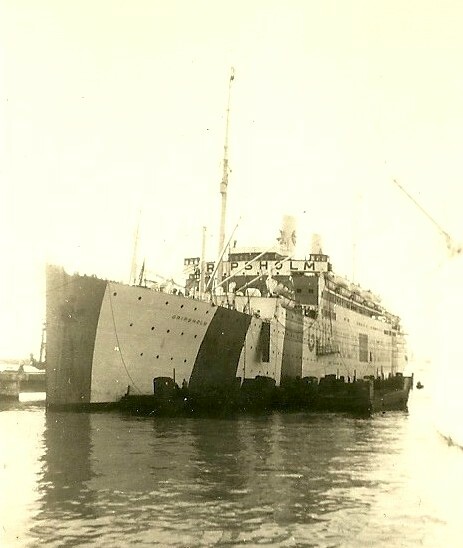 The Gripsholm was chartered to the US State Department during World War II, from 1942 to 1946, as an exchange and repatriation ship, under the protection of the Red Cross, hence the term "mercy ship". Per Tistrand, son of SAL's Sea Personnel Manager, Torkel Tistrand, maintains a Facebook group called **Svenska Amerika Linien**, where he has posted several links to videos of the Gripsholm from WWII. The Gripsholm sailed with flooding lights across the seas. She must have been a magic sight on the dark waters. "As I understand it, my uncle Gabriel (known both as "Garry" or "Bill") Lichtman was on the Gripsholm during one of the repatriation voyages as some sort of senior civilian. 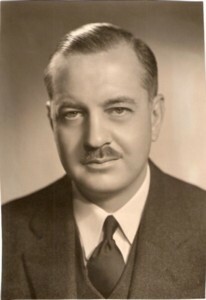 He was the Director General for the Indian Ocean and Persian Gulf fleets of the American Export Lines from 1941 to 1967, based in Calcutta. My uncle distinctly articulated to me his recollection of the ship being lit up in white lights. The result was that any other blacked out ship within miles and not protected by the Gripsholm's neutrality was perfectly silhouetted and an easy target for submarines. My uncle said you could see every ship making top speed to scurry away as fast as possible from the Gripsholm's bright lights." "For more than 30 years he managed the the activities of a large American steamship company from an office in Calcutta, India. The cargo ships plied from the east coast of the United States to Persian Gulf and through the Suez to Rangoon, Burma. Enroute they stopped at Karachi and Bombay. On the return leg the ships called at Chittagong (Bangla Desh), then Calcutta, Madras, Cochin, Colombo and headed for the U.S. Atlantic Coast via the Suez Canal. But he was more than a shipping man. Widely read, he radiated warmth and made friends no matter where went." It is not hard to see why American Export Lines was chosen to administer the voyages. The crew was Swedish. Sigfrid Ericsson was Commander on the first two voyages, to be succeeded by Gunnar Nordensson, who had served as Chief Officer until then. 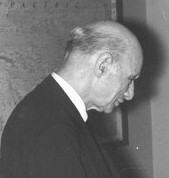 Gunnar Nordensson was later to become the Captain of the Stockholm. The Gripsholm's Swedish crew were regarded as members of the US Merchant Marine. In January 1950, Mr Malte Johansson, from my mother's home town Söderhamn, Sweden, was awarded the "US Merchant Marine Victory Medal", as an acknowledgement for active duty in the US Merchant Marine on the Gripsholm during WWII, from 1942 to 1944. Of course, other members of the crew were also awarded medals. Many thanks to Lennart Svedberg, Söderhamn, for this information. The Gripsholm's crew were no spring chickens. They had sailed in the Arabian Sea and the Indian Ocean before. The map above, from the Lindblad collection, shows the route of the Gripsholm's Winter Cruise in 1934. 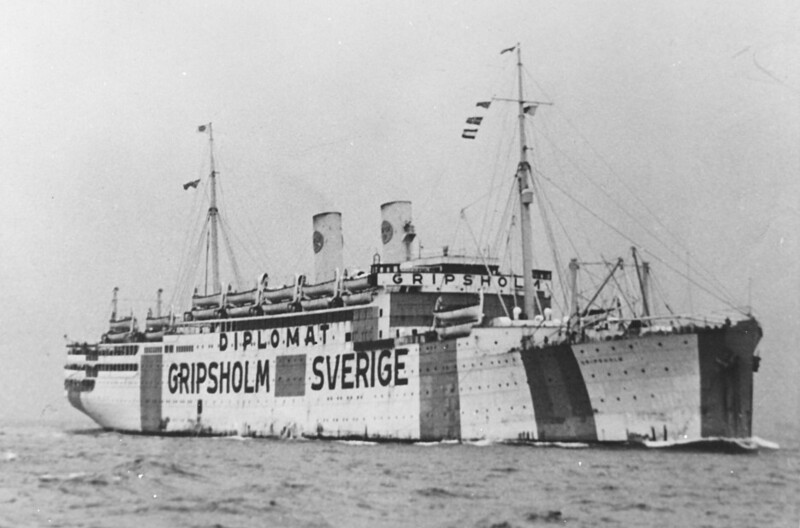 During World War II, the Gripsholm made 12 round trips to various parts of the world and carried 27,712 passengers. The crew was initially signed up for six months, SAL had an order for one voyage, but it would take two years before they were back in Goteborg for a short visit. 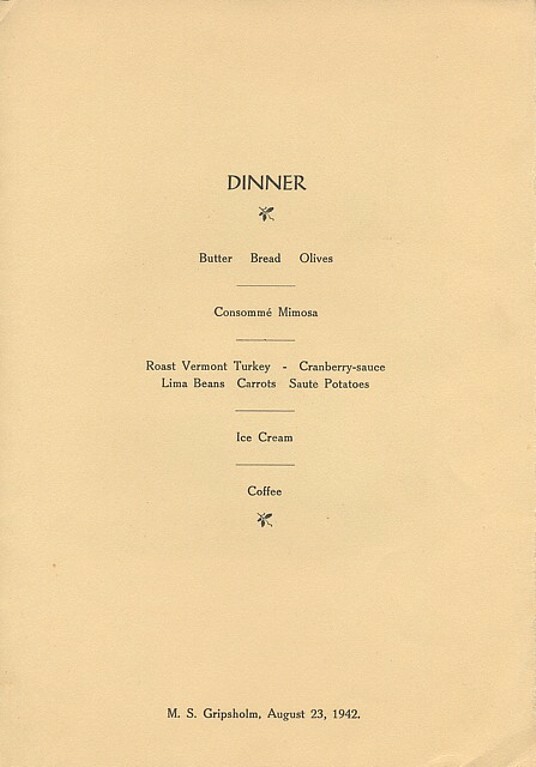 See film clips of the Gripsholm and Drottningholm arriving in New York during WWII here. The Gripsholm also carried mail and food packages to prisoners of war. One American prisoner recognized his father's razor, sent from home by parents to their son in the prison camp. What a wonderful gift! 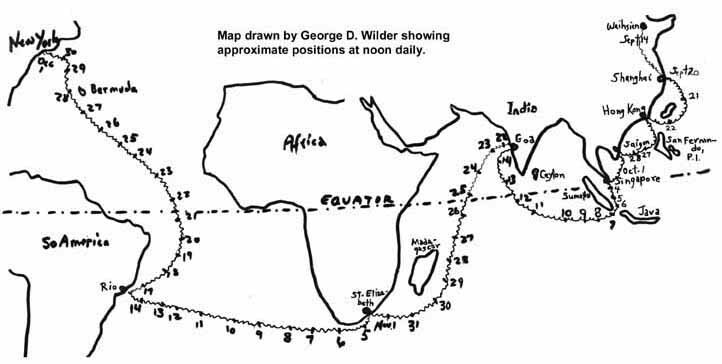 One voyage from New York to Mormugao took 44 days, the return was estimated at 41 days. So, Gripsholm was out to sea for nearly 3 months, for just one of the trips. The passengers were POW's, diplomats, journalists, nurses, missionaries and merchants, e.g. "oil people", and crew members of U.S. merchant ships, who had been left behind in Asia. The Gripsholm's service during the exchange voyages was the same as during Atlantic crossings prior to the war, with three classes for passengers. 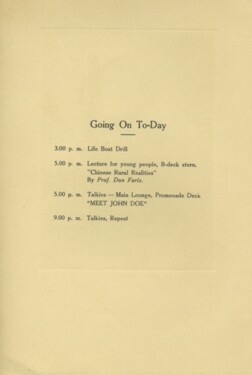 The bars and lounges were open as usual. 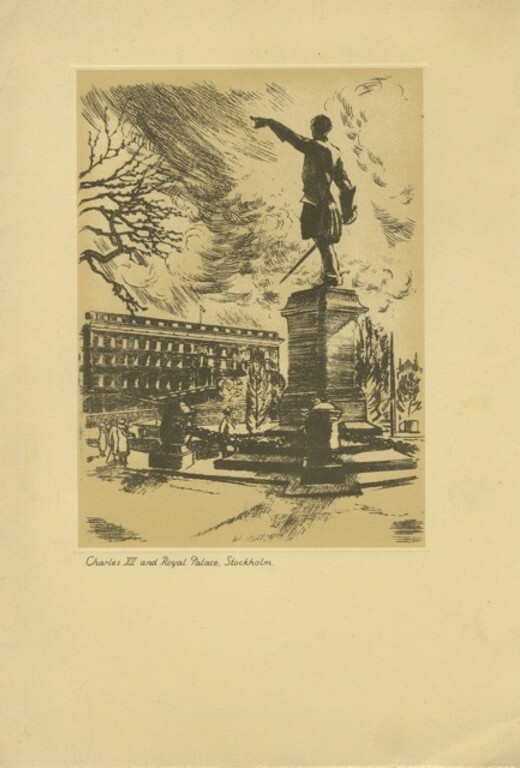 The photo above was shot after the war. The U.S. Merchant Marine ribbon bars on Mr Karlholm's jacket show that he served on the Gripsholm during WWII. Read about Captain Torkel Tistrand, who served on the Gripsholm during WWII. View unique photos from the exchange voyage. On the first voyage Gripsholm departed from from New York on June 18, 1942, with 1,083 Japanese nationals on board, bound for Japan. They were mostly diplomats and their families, but also some Japanese businessmen, journalists, who were in the U.S. when war was declared. Some were American relatives of Japanese deportees, who didn't wish to go to Japan, but wouldn't abandon their husbands or fathers. 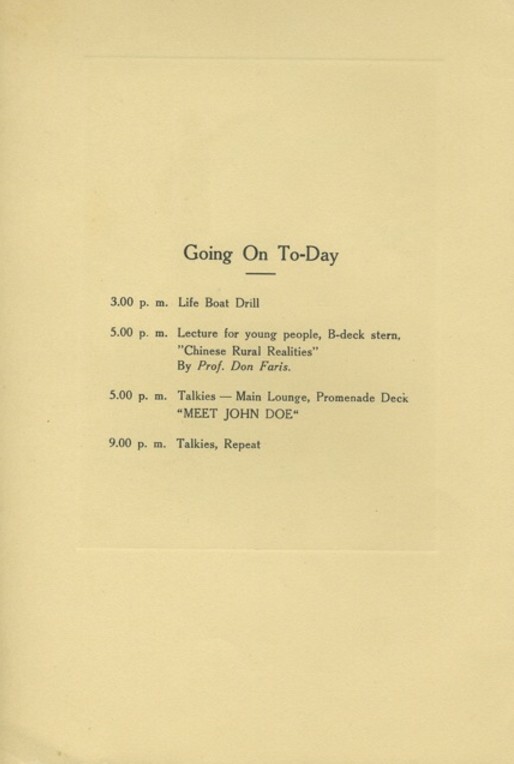 Some of the young passengers on the ship were students, and later those intellectuals would become influential leaders in Japan's post war society. dedicated to the story of the deportations in 1942. The Gripsholm also picked up 417 Japanese passengers in Rio de Janeiro, among them the Japanese Embassy staff. The embassy's picture of the Emperor was covered by cloth when it was carried on board, and all the Japanese passengers kneeled and bowed before it. No one was allowed to go ashore in Rio. There was Brazilian military on the pier with machine guns. Gripsholm was anchored in the harbor, and was only allowed to dock for a short while for embarkation. The first exchange was made in Lorenco Marques, Mocambique. The Asama Maru arrived in Lourenço Marques on July 22, 1942, carrying approximately 800 civilians from Japan, South-East Asia and the Philippines. She was accompanied by the Italian vessel Conte Verde, with about 600 passengers from Shanghai. I have a Baltimore Sun newspaper article about a family friend who was repatriated first aboard the Asama Maru and then the Gripsholm in 1942. Her name was Margaret Carey and she had been a teacher in Hong Kong when the Japanese occupied it on Christmas Day, 1941. The horror of the internment camp was relieved only when she finally arrived at Lorenzo Marquez and transfered to the SS Gripsholm for the trip to America. The article relates many details of her months of hunger, and the atrocities committed at the prison. 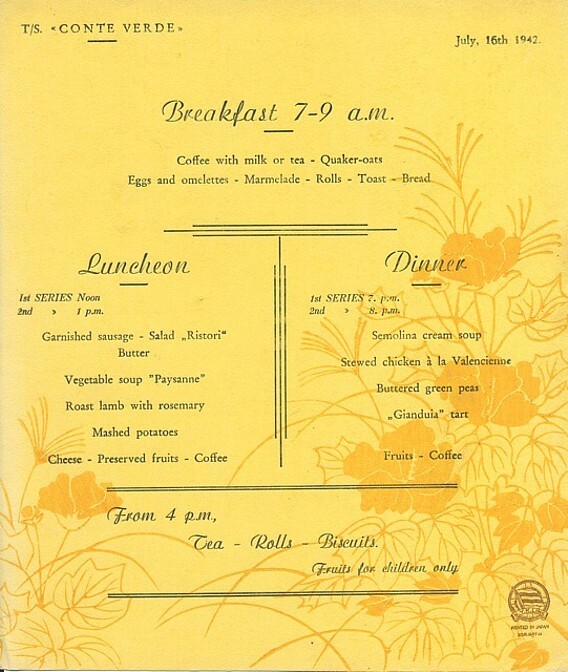 The constant hunger was not relieved aboard the Asama Maru, despite the elegant daily menus issued as propaganda. 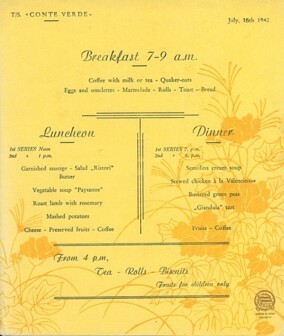 I have 5 of those beautiful menus framed and mounted in my home still. They bear the Asama Maru name and date along with ficticious offerings of the fare of the day. Every so often I get to thinking about events like this and read again how people were able to survive such horror when they had to. I was 9 years old when Margaret Carey returned to her native city and I listened to her relate her experiences to my parents. Hearing about such terrible things brought the war closer for me moreso than for my playmates. Just wrote this to point out that there is in the Baltimore Sun Papers archives containing this very interesting account should any guestbook visitors wish to access it. The Japanese passengers disembarked from the Gripsholm and embarked a Japanese ship bow to bow, while the western nationals walked on another gangway, stern to stern. The procedure took place on the 24th, during 4 hours. The majority were not military personnel, but civilians, who had been interned. One American journalist, normally weighing 160 lbs, weighed 64 lbs when he was carried on board. The 1,500 western nationals had to wait on Gripsholm's deck while the cabins were cleaned. There were buffets prepared on the decks, and many passengers kneeled and prayed when they saw the food, while the Swedish crew wept. Ms. Carmen Puente Prieto of Mexico City, Mexico, has contributed an interesting and lovely story about her mother and grandmother, who left Shanghai in June 1942, and boarded the Gripsholm at Lorenco Marques. Gripsholm sailed on July 28, with 1,510 passengers on board. Among the them were 15 American newspapermen, 125 Catholic priests and nuns, and 100 children, many born abroad, never having seen their homeland. Read about a meeting of Free Masons on board the Gripsholm on August 8, 1942, posted on the website of the lodge Star in the East No. 640 S.C. Yokohama, Japan. My father Harold S. Dunn sailed on the Gripsholm after being released from Bridge House Jail in Shanghai. He first sailed on the Conte Verde and then transferred to the Gripsholm at Lourenco Marques. My father was a businessman in Asia from 1931 to 1941. He aslo worked for U.S. Naval Intelligence. All in all, the passengers spent two months at sea during their voyage from Asia to USA, but were able to go ashore in Lorenco Marques, and later in Rio de Janeiro, Brazil, on August 10. Some of the passengers were mentally ill after captivity, and decades later, one Swedish crew member said he still could not forget their terrifying screams from the cabin area. After having returned to New York, on August 25, there was a long waiting period before the next voyage. 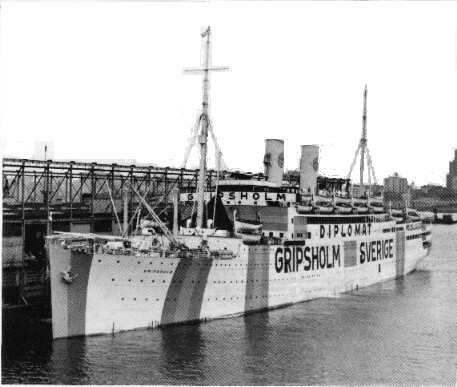 Gripsholm was laid up in Yonkers for over nine months. 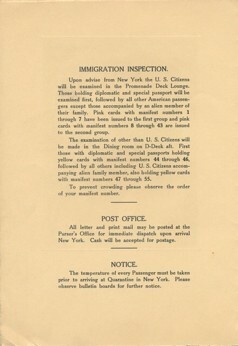 The Swedish crew members were given American Coast Guard passes, and received the same benefits on leave as American servicemen. 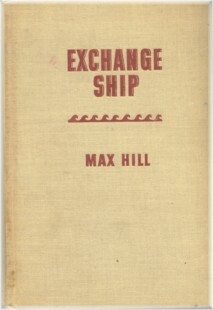 I can recommend a book written in English, called "Exchange Ship", by Max Hill, 1942. It tells the tale of Americans being repatriated from Japan on the ASAMA MARU and CONTE VERDE, sailing down and across the Indian Ocean to Laurenco Marques, where they were exchanged with deportees from America. They boarded the GRIPSHOLM for the voyage home to New York from Laurenco Marques. Max Hill, author of Exchange Ship. Photo contributed by Edie Pickens. This is an eye-witness report, written by an Associated Press reporter in 1942. Exchange Ship by Max Hill is available at amazon.com. and the story of his life after returning to the USA on the Gripsholm in 1942. Read about Max Hill here. 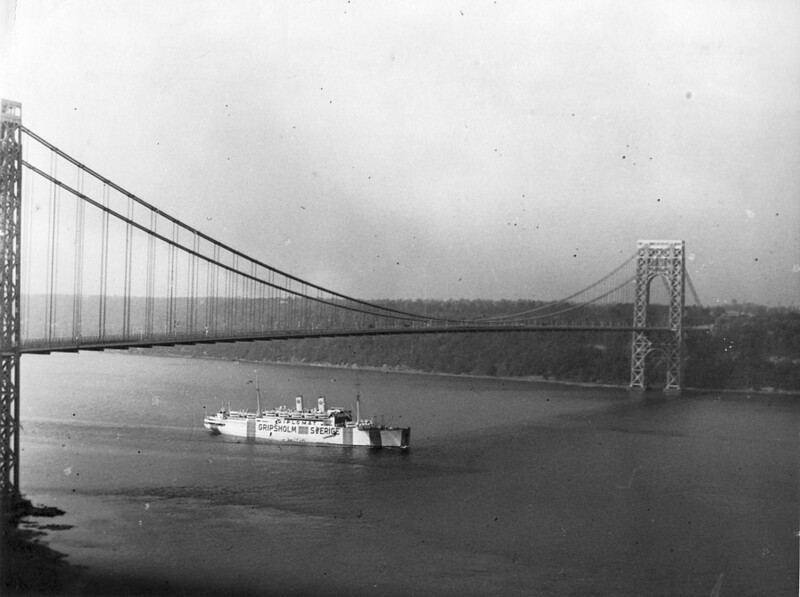 Gripsholm passing the George Washington Bridge in New York. Many thanks to Professor Emeritus Susan Pentlin for contributing this photo. The exchange liner GRIPSHOLM, carrying 1330 Japanese civilians to be exchanged for 1500 Western Hemisphere nationals interned in the Orient, sailed from New York yesterday, September 2, 1943. 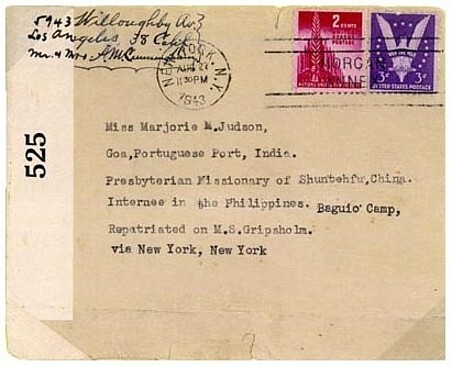 The liner will call at Rio de Janeiro, Brasil, and Montevideo, Uruguay, to pick up additional Japanese civilians, and arrive at the port of exchange - Mormugao, Portugese India - about October 15, The Japanese exchange liner TEIA MARU, with 1500 Americans, Canadians and other Western Hemisphere nationals aboard, will arrive at Mormugao at the same time, and the two groups will be exchanged.The GRIPSHOLM is also carrying American and Canadian Red Cross supplies, consisting of medicines, concentrated foods, vitamins, and blood plasma, which are intended for distribution to American and Western Hemisphere nationals in Japanese controlled territories. This picture shows the loading of those supplies on the GRIPSHOLM in New York Harbor. With the gold and blue colors of Sweden painted on her sides, the former luxury liner GRIPSHOLM is loaded at her pier in New York harbor. 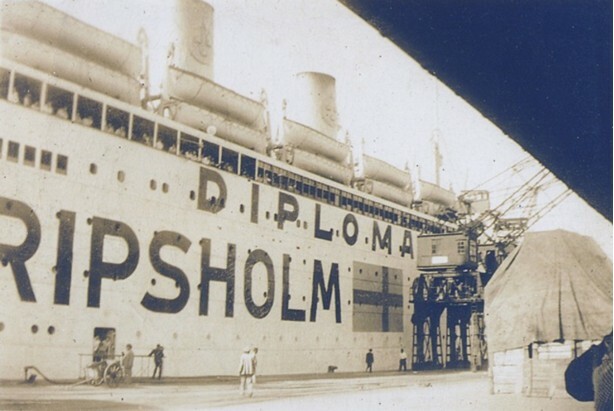 With the word "Diplomat" lettered prominently on her side, the liner will travel without convoy under safe conduct arrangeents with all the belligerent governments. At night, she will be brilliantly lighted to show her identity as a diplomatic vessel. This is the second mission the GRIPSHOLM has undertaken since she was chartered from the Swedish American Line by the United States Government in 1942 to be used as an exchange vessel. The Gripsholm picked up Japanese passengers in Rio de Janeiro, Brazil, and in Montevideo, Uruguay, (Sept 23). She crossed the Atlantic, and entered Port Elizabeth in darkness at night, through mined waters, to bunker fresh water and food. On the trip to Mormugao, one Japanese deportee jumped overboard, and the Gripsholm set out lifeboats to find him. It was infernally hot, and the sea was full of sharks. The passenger was not found. When the exchage was to be made at Mormugao, there was a a lot of commotion among the officials of different nationalities on shore, because there was a passenger missing, and the exchange of prisoners was halted. Finally one American offered to return to captivity, and the exchange could be made. What an unselfish sacrifice! Several hundred Americans and Canadians, including a number from Hong Kong, walked from the Teia Maru on to the Gripsholm. It did occur that passengers (those not disabled) from both sides cooperated in carrying light cargo and luggage from one ship to the other. Read about Laurits V. Larsen who was a passenger on this voyage. "The Gripsholm completed her second round voyage on the day set for it. She has a right to be proud of herself. On the east and west voyage she shares only with her Japanese counterpart, the Teia Maru, the freedom of the seas, though she has to advertise her diplomatic immunity extensively on her exterior. She has lain for considerable times under the Jersey shore. We all like her. She is a happy ship. No other has brought home so many rejoicing passengers." has sent the story of her relatives, who were repatriated on the Gripsholm. 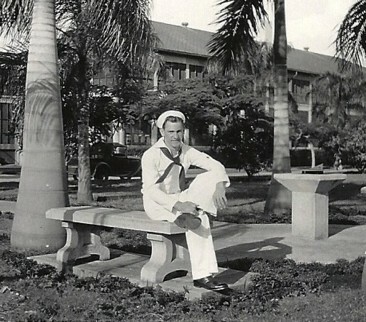 at a naval hospital in Honolulu in 1936. His nickname, for reasons unknown, was Pete. I just found your wonderful website, and thought I would share this story with you. 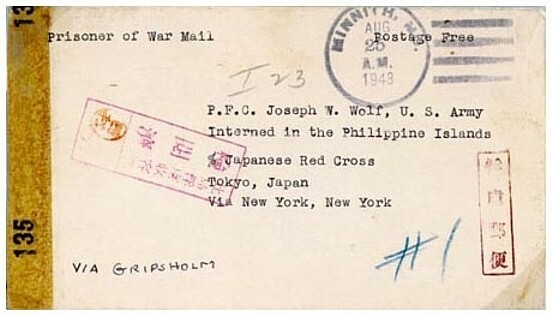 My Uncle was a prisoner of the Japanese in Manila during WWII. At some point, (Sept -43, is noted in the letter, LH) someone wrote my Grandparents a letter on writing paper from the Gripsholm, (so I assume this person was a passenger) The letter was written to let my Grandparents know that their son was safe-but this letter was written anonymously out of fear that harm would come to my Uncle if the Japanese found out that the letter had been written and by whom. My Grandparents were also advised to not tell anyone else about the letter out of concern for my Uncle's safety. Unfortunately, my Uncle did not survive the war, but died in the bombing of a ship bound for Japan in January 1945. I have enclosed scans of the front and back of the letter. Once again, glad to have found your site-it helps me put together a few more pieces of the puzzle regarding my Uncle and his wartime experience. This clip from Youtube shows the Gripsholm arriving in New York City in 1943, with American citizens from the Far East, among them former internees of Santo Tomas Internment Camp. 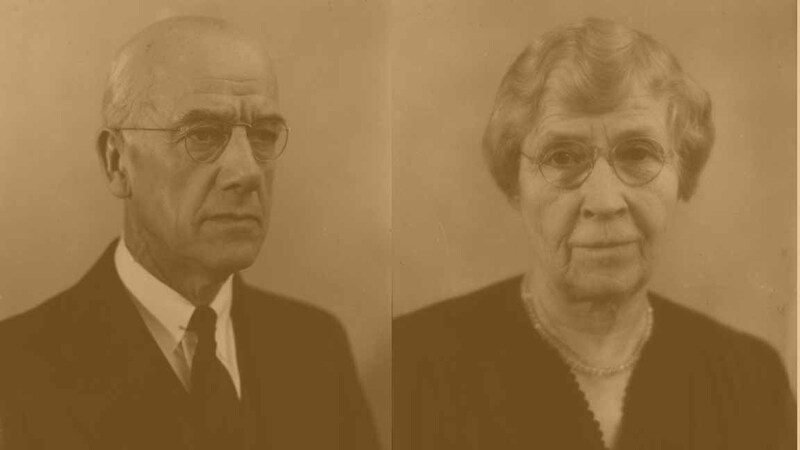 George and Gertrude Wilder, American missionaries in China, were repatriated on the Gripsholm in 1943. 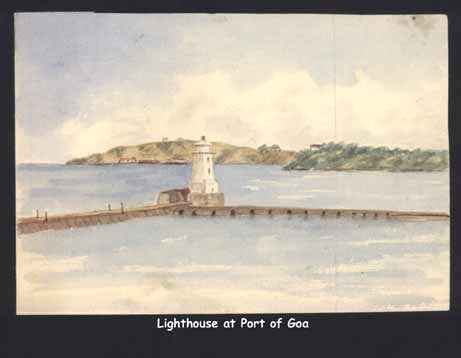 Gertrude Wilder painted a number of watercolor sketches of the ports visited along the way. Their grandson, Donald Wilder Menzi, has provided a narrative and combined the paintings in a video.In addition, George Wilder, was an amatuer ornithologist, and wrote a memoir of the voyage with an emphasis on the various birds seen along the way. His friend, Howard Galt, also wrote a memoir of the voyage. Water color by Gertrude Wilder. 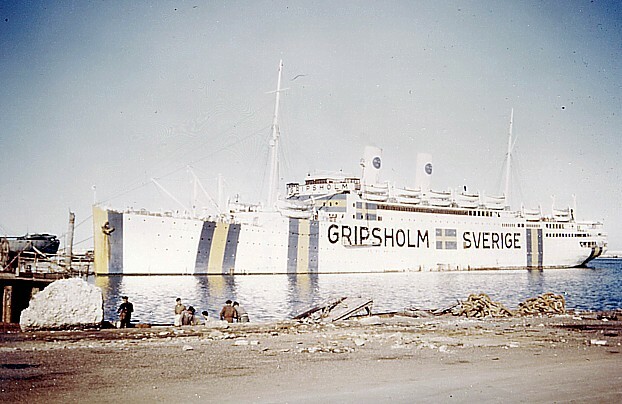 After the two long voyages in 1942 and 1943, the Gripsholm made several shorter voyages, carrying German repatriates and POW's from America to be exchanged in Lisbon, Goteborg and Mediterranean ports. The German POW's were submarine crews and other navy crews who had been captured by the US Armed Forces. There were also German internees, as described by Steven Fox in his book excerpt. 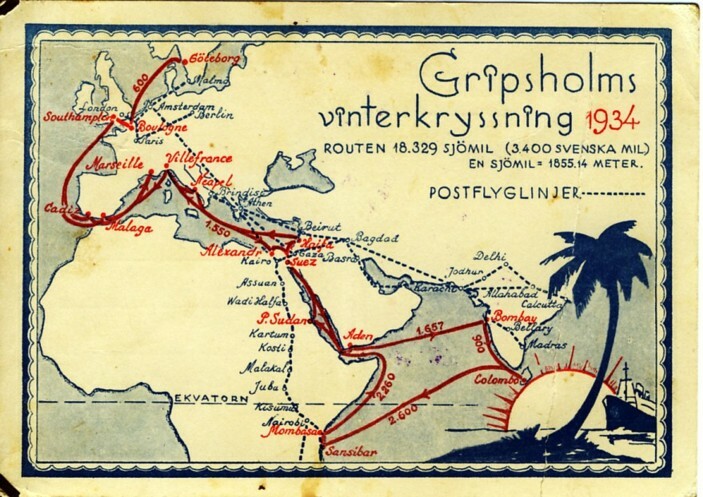 In 1945, the Gripsholm made a longer voyage to Port Said and Bombay, through the Suez Canal. The Gripsholm made three voyages in 1944, four in 1945, and three in 1946, before returning to regular transatlantic crossings and cruises. Also among the passengers on the Gripsholm was the Kungsholm crew, which had been stranded in New York City, just after the proclamation of war, when Kungsholm was bought by the US Government, and renamed John Ericsson. 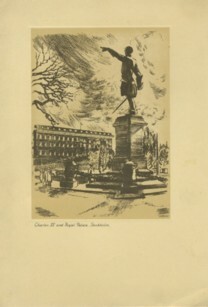 the card when he was exchanged as a prisoner of war in 1944. My father was captured in the Western desert and sent to Italy as a prisoner. Later he was transferred to Stalag VIIIB, where he was very badly injured, the legacy of which stayed with him for the rest of his life. In 1944, he was selected for repatriation via Sweden and as children, told us of the joy and relief he felt upon reaching Sweden. He told us too, of meeting Princess Sibylla and being given flowers by her. On the bouquet was a card, which read simply ‘Sibylla’ he kept it for the rest of his life and we have it still. 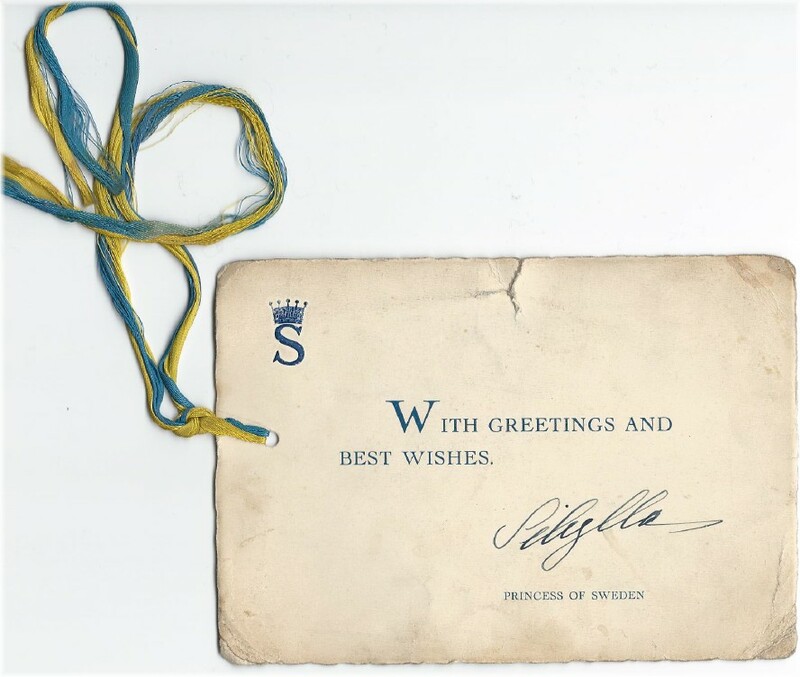 Without the good offices and humanity of the Swedish government and bravery of its seamen, my father would have died in Poland and I would never have been born. His story and our gratitude will be passed down to our grandchildren, as will a small card from a Princess. 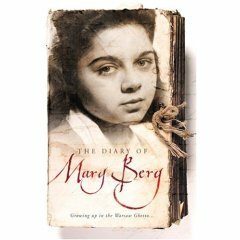 Professor Emeritus Susan Pentlin, has edited The Diary of Mary Berg, a republication of the diary of a woman who had been in the Warzaw Ghetto and later interned at the Vittel Internment Camp in France, has provided the following information: "The Gripsholm arrived from Lisbon on March 15, 1944 in New Jersey City, New Jersey with 662 passengers. 35 or 36 of the passengers were wounded U. S. soldiers. There were also American and Latin American officials aboard, Red Cross workers, journalists and American citizens, many of them came from Poland, some directly from concentration camps, others from internment camps such as Vittel." "On March 1, 1944, the Bergs miraculously were evacuated from Vittel. In a little known chapter of Holocaust history, a train of internees crossed the Spanish border several days later and on March 4 reached Lisbon where the Swedish exchange ship, the “Gripsholm” was docked. 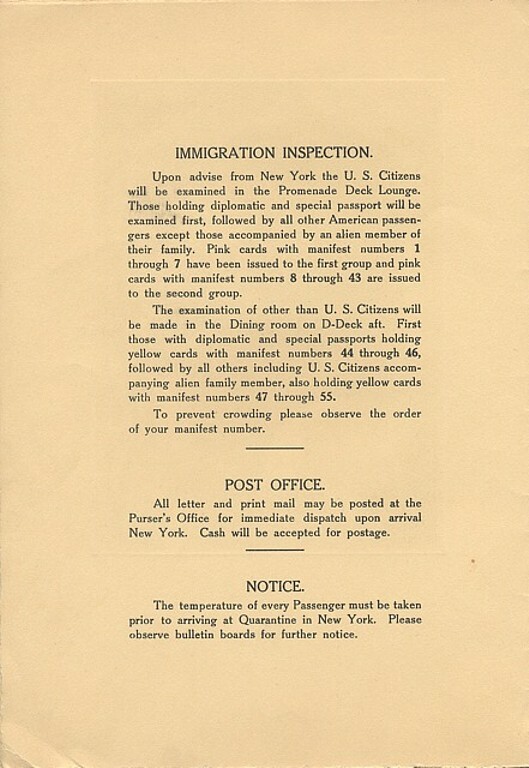 On March l6, the ship arrived at Jersey City, New Jersey with over 600 wartime internees, including thirty-five American prisoners of war, an American diplomatic party from Vichy France and l60 internees from Vittel, many of whom were not Jewish. The ship had earlier carried about 750 Germans to Europe for the exchange." The new edition has a new introduction, some notes, a bibliography and photos as well as the original introduction by S.L. Shneiderman. The translators are the same as in the original edition: Norbert Guterman and Sylvia Glass. 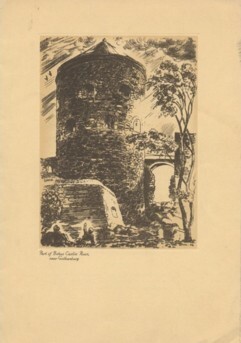 The original title of the 1945 edition was Warsaw Ghetto: A Diary. The author was Mary Berg and the original editor was S. L. Shneiderman. Stephen Fox has informed us of the story about Seven Sisters of Mary of the Presentation interned at Vittel, France during World War II. They also returned safely to the USA on the Gripsholm in March 1944. On one of the voyages, the Gripsholm also carried concentration camp victims from Bergen-Belsen. Vandy Vandervort has contributed the documents below from her aunt's arrival on the Gripsholm on March 15, 1944. Dorothea (Dodo) Clark Vandervort Richie was a member of the U.S. diplomatic corps in Germany. 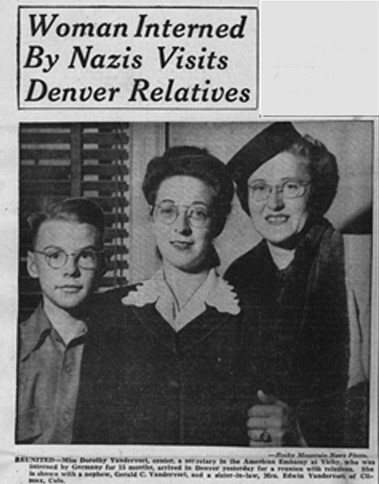 REUNITED-Miss Dorothy Vandervort, center, a secretary in the American Embassy at Vichy, who was interned by Germany for 15 months, arrived in Denver yesterday for a reunion with relatives. She is shown with a nephew, Gerald C. Vandervort, and a sister-in-law, Mrs. Edwin Vandervort of Climax, Colo. Note: In the picture was my Aunt (Dorothy) my brother (Gerald) and my mom (Gayle A. Vandervort). My brother died about 3 months later. That was the last picture taken of him. My mom got the news photographer to isolate his image and make a nice print of it. I was born about year and half later. So I never knew my brother. My parents, brother and I left Bombay India in the first part of July 1945 and sailed to New York City landing there Aug 3, 1945. My Dad has written details of our voyage in an autobiography and I could find the exact date. My parents were United Church of Canada missionaries and had been in India since February of 1940. 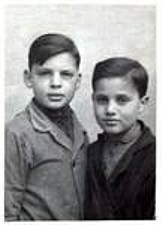 My brother was born there in 1941 and I was born Feb 28th, 1945. During the first part of the journey there was lifeboat drill daily and my mother was to bring a life jacket for me - a four month old - and use it as a floating devise if the ship went down. We were some time before we were out into the Atlantic and they stopped worrying about sunken mines. Such trying times. My Dad was Moir A J Waters, my Mum, Margaret Waters, my brother JIm age 4 and me 4 months old when I boarded the ship and 5 months when I reached New York. I admire all my parents did to get us to Canada - we arrived by train into Toronto Ontario Aug 4th." Read the intriguing story from Mr Waters' autobiography here. My parents were Lutheran missionaries in India since 1922 and returned to America on the Gripsholm for another furlough with my brother and me. I was eleven years old but well remember the voyage. Leaving Bombay, the seas were heavy and many of the passengers were seasick. With the signage on the sides of the ship and the decks, well lit at night, any Japanese warships could not mistake its neutrality. The weather brightened before entering the Red Sea and the rest of the voyage was calm. We were not allowed off the ship at the two stops at Port Said and Piraeus. Our first accomodations were on a lower deck with four bunk beds, no porthole, and restroom and showerroom down the hallway. When we reached Greece, my father asked for a better cabin and we were given a room that looked out to an upper deck - lovely it was! Greek refugees were boarded at Piraeus and they were given the lower cabins. My friend Norman and I one day went to a lower deck, found the entrance to the foremast and climbed up to the crow's nest. The sailor on duty smiled and allowed us to stay awhile. There were many missionary families on board and worship services and entertainment for the children abounded. We sat at a designated table with the same food steward throughout. The food was tasty. It certainly did not feel there was war going on, though one American sailor told me that if the Japanese would stop the ship for inspection, he would be put on a lifeboat and executed away from the ship. After seeing Gibralter and then crossing the Atlantic, the sight of the Statue of Liberty in New York harbor was very special. After we docked on August 3, 1945, soon afterwards the first atom bomb was dropped and the war came to an end. In the autumn of 1945 my mother, two sisters and I departed New York City aboard the Gripsholm en route to Egypt to join our father who had gone over just before VE Day. Upon arrival in Naples the Gripsholm developed mechanical problems, so we continued on to Port Said aboard the troopship U.S.S. Gen. Meigs. tender transferring us to the Gen. Meigs. "My parents met aboard the Gripsholm in November of 1945, as they traveled to Italy to take up posts in the US Embassy in Rome. My father, Edward C. Borrego, had served in the Mediterranean theater with AFHQ Petroleum Section, and was "lent" by his employers, the Standard Oil Company of New Jersey, to the State Department to serve as Petroleum Attache in the Rome embassy. My mother, Maryanne Mohrbacher, had worked in Washington for the State Department, and was eagerly looking forward to her first foreign posting in Rome. Among the other passengers was Episcopal Bishop John Larned, who was going to Europe to re-establish American Episcopal congregations. He later officiated at their wedding at St. Paul's Episcopal Church in Rome." After the war, in 1946, eight ocean liners served in the Atlantic. Among these were the Drottningholm, the Gripsholm, the Norwegian American Lines' Stavangerfjord, and on October 16, the Queen Elizabeth sailed from Southampton on her maiden voyage, after having served in the war as a troop transport ship. 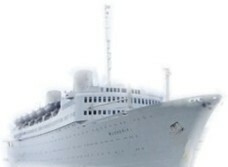 I (age 14) was a passenger on the Gripsholm January 1, 1946 to January 20, 1946 from Salonika, Greece to New York. We sailed from Salonika to Naples, Marsailes and in the middle of the Atlantic Ocean, the ship’s engine caught fire. No one knew of the fire and we were told to proceed topside for passport documentation. I forgot my passport, so I took the elevator down and when the door opened I saw an officer come out of a nearby door and flames poured out of the opening. He grabbed me and put me back in the elevator as I was crying. When I reached topside I began screaming that the ship was on fire. People thought I was crazy, however, the captain got on the PA system and told the passengers of the fire and that there was no danger and everything was under control. Needless to say, it took twenty (20) days to get to New York. On February 6, 1946, Gripsholm sailed from the USA to Europe, carrying several hundred deportees from American prisons, among them Lucky Luciano, to Naples and Greece. These passengers carried plenty of cash, and organized gambling on board, resulting in knife fights after accusations of cheating. 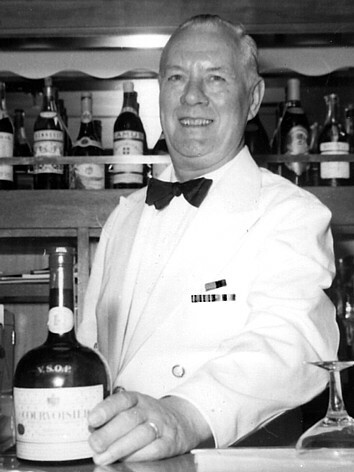 Rune Dahlstrand managed the Beauty Salon and served as a barber on the Gripsholm from 1938 to 1946, during the WWII exchange and repatriation voyages. Read about his memories here. For an eye-witness report from the mercy ship Drottningholm, read From Prisoners of War to War Brides, and about Carl-Otto Claesson, who served 32 years on the bridge. 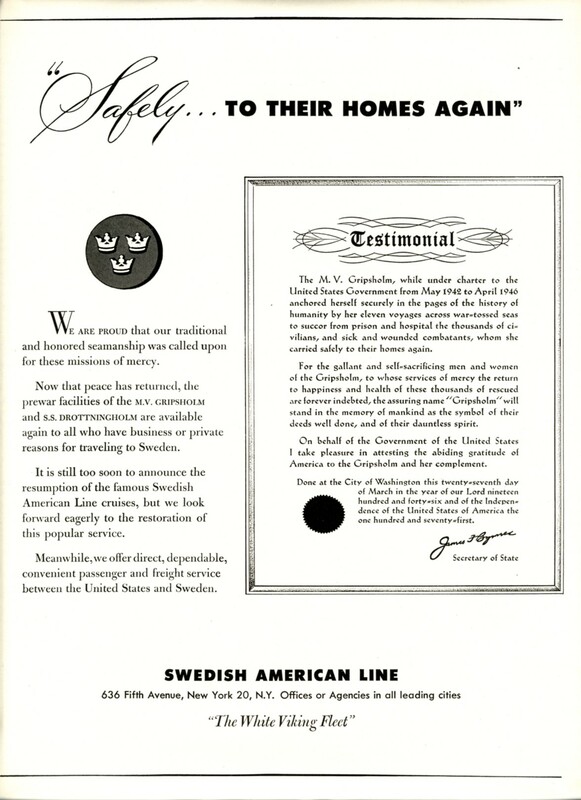 Captives of Empire, Gripsholm repatriation voyages during WWII. Greg Leck, author of Captives of Empire, shares excerpts from his book. The Exchange Voyages of German and Italian Americans During WWII by Stephen Fox, Ph.D., author of Fear Itself: Inside the Roundup of German Americans during World War II: The Past as Prologue has contributed an excert from his book. James E. McEldowney's family, traveling to India in 1946. Lt. Robert M Janson, returning from Europe in 1944. Gwen Dew, reporter, returning from Asia in 1942. Radzia, American prisoner in Nazi-Occcupied Poland returning from Europe in 1945. Lt Walter R. O'Sullivan, returning home in 1945.